On Tuesday afternoon, NASCAR announced the new format for this season’s Monster Energy All-Star Race. The race will once again be held in stages. The first three will consist of 20 laps, and the final stage will be 10 laps. However, for the first time since 2003, there will be eliminations in the All-Star Race. After the third stage, only 10 drivers will remain. Whomever wins one of the first three stages will automatically have a spot in the fourth stage, while the rest of the field will be made up of those with the highest average finish in the first three stages. Before coming down on pit road between the third and fourth segment, the cars will line up based off average finish in the first three segments. The prestigious event, held the week before the Coca-Cola 600 at the Charlotte Motor Speedway, will give crew chiefs a new tool they haven’t had in many, many years in NASCAR: a softer tire compound. Teams will be allowed to use the one set of soft tires allocated to them whenever they want; if they decide to use them on the final pit stop, however, they must start behind those who went with regular tires. Whoever wins the fourth stage wins the race and a million dollars. So, to clarify, there will be no more required green flag pit stops, no “top six, seven, or eight cars are required to pit,” and no eliminations until the end of segment three. Eligibility to make it into the All-Star Race, one of the few consistent elements of the event from over the years, will be the same as it has for years; drivers must have either won a race since the beginning of the 2016 season, be either a former All-Star winner or a MENCS champion who currently competes full-time in the series. 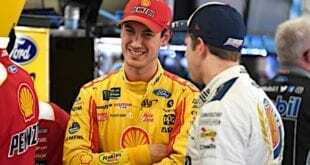 Qualifying for the All-Star Race, which consists of three-lap single-car runs with a required pit stop, will remain the same as it has for years, except that it will once again be held the night before the race. The Monster Energy Open race, once again held right before the All-Star Race, will follow the exact same formula as last season: two 20-lap stages followed up by a 10-lap stage, with the stage winners making it into the All-Star Race. There’s one final spot in the All-Star for whomever wins a fan vote, which will have no changes for this season. The marketing around the event will celebrate the 25th anniversary of the first All-Star Race under the lights at Charlotte, which had the same amount of laps (70) as this year’s race. The 1992 Winston, dubbed “One Hot Night,” featured a classic duel between Kyle Petty, Davey Allison and Dale Earnhardt in the final laps. Allison won, but had a nasty wreck in the tri-oval after tangling with Petty crossing the finish line. Allison was helicoptered out of the track to a local medical facility; although bruised, he would not miss a race due to his injuries. Owner Robert Yates had to do most of the post-race festivities usually reserved for the winning driver. Nothing they do will make the NASCAR all-star race compelling. It is basically an exhibition race with a large payout. The all-star events in the NFL, MLB and NHL are also boring and unwatchable. The difference is that for a fan, there is the chance to see the best talent in the sport on the field at the same time and that is the attraction. Something that we would never see without such an event. 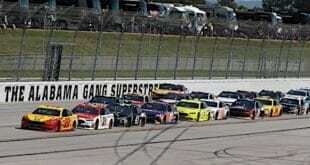 In NASCAR the same 40 teams are on the track at the same time so what makes the all-star games in the other sports an attraction is lost in NASCAR’s all-star event. So their answer is to come up with wacky and gimmicky rules hoping that this will make it compelling to watch. It doesn’t. It’s just another race with no points involved. It doesn’t help that they run it on a 1.5 mile track. Martinsville, Bristol, Daytona or Talladega might raise the interest level some but probably not much. With that said, I usually do watch it because it’s a good excuse to get together and drink a few beers on a Saturday night (not that I need an excuse). So this is the All Star race? I’ll bet Derrike Cope will be entered. Yep. He’s got a chance to win. 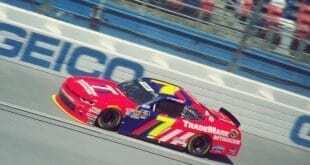 If Brian wants ten cars in the final stage why don’t they just take the fastest ten qualifiers and let them race for 20 laps? It would be over in about 12 minutes and the millennials in the stands wouldn’t look at their phones once. We might even see how good a qualifier Johnson really is. The rest of the cars can run for 50 laps and there would be a real feature race at the end, just like a short track on Saturday night.